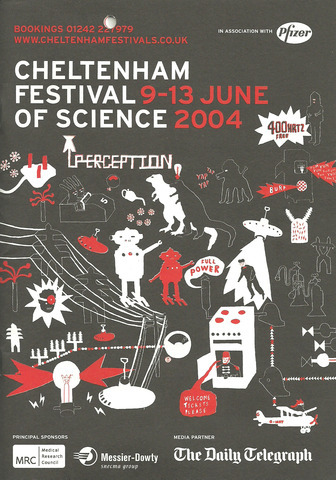 Tillotson, Jenny (2004) Scentsory Perception. 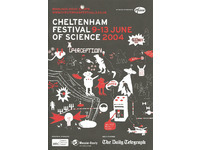 In: Cheltenham Science Festival, 9 - 13th June 2004, Discovery Zone, Cheltenham Science Festival. Smell is mysteriously powerful with incredible control over our emotions. 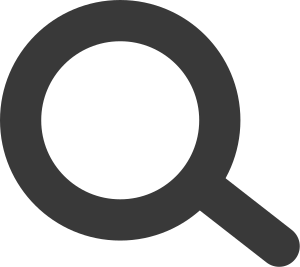 The perception of smell consists not only of the sensation of the odour, but of the experience, memory and emotions associated with it. 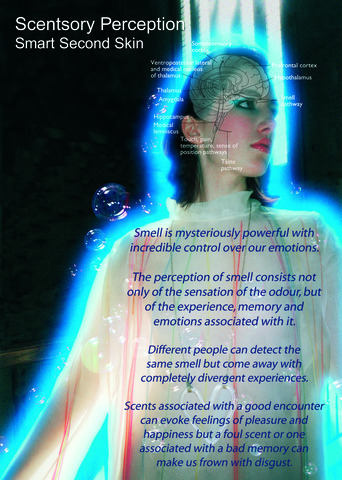 Different people can detect the same smell but come away with completely divergent experiences. Scents associated with a good encounter can evoke feelings of pleasure and happiness (such as play doh from childhood) but a foul scent or one associated with a bad memory can make us frown with disgust. Smell is the only sense that is directly plumbed into our memory through the limbic system in our emotional ‘smell brain’. 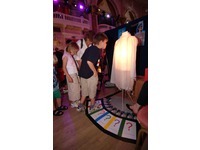 The smell connection is much faster and more decisive than the systems for the other senses. 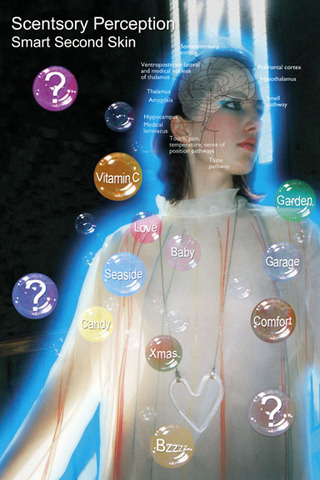 The olfactory nerves have a hotline connected to the central nervous system which is the inspiration to the ‘Smart Second Skin’ dress. 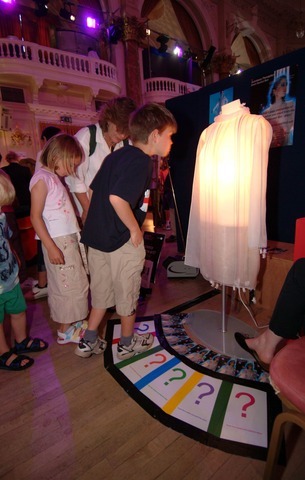 The dress explores the concept of ‘Re-cabling Fashion’ by embedding technology into multi-sensory therapeutic clothing, which mimics respiratory rhythms in the human body. 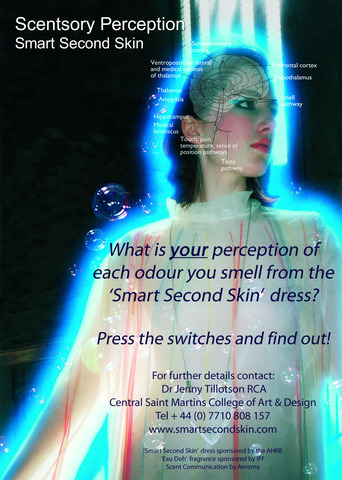 What is your perception of each odour you smell from the 'Smart Second Skin' dress?